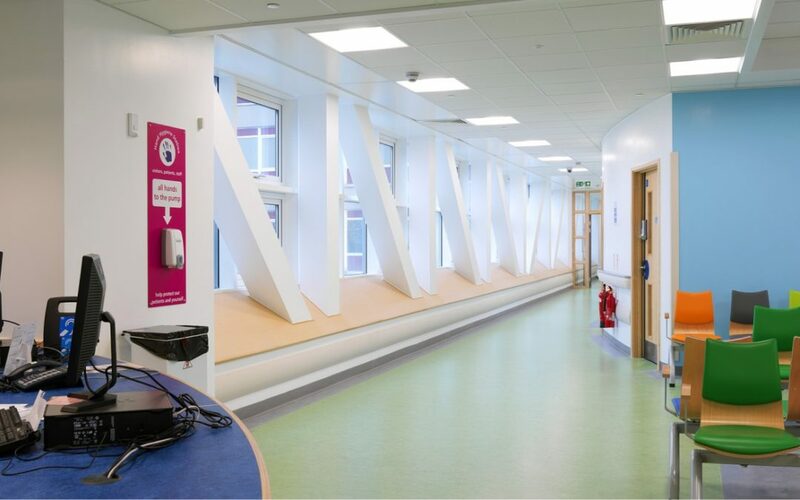 Phase 1a of East Wing Annexe is complete, comprising a floor of treatment and consulting rooms for the Cardiac Outpatients Department and Oncology Department, it also provides two state of the art chemotherapy suites. This project represents the first phase of a new eight-storey wing. Connected by a bridge above the ambulance deck which accommodates a day room and offices, the departments are now located adjacent to the inpatient services they support.